Dallas Design District gallery, Laura Rathe Fine Art (LRFA), announces a solo exhibition with Katherine Houston for their Summer Collective. Opening Reception will be Saturday, June 23rd from 5-8pm. Artist will be in attendance. 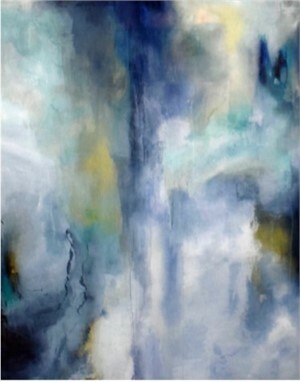 Based in Galveston, TX, Katherine Houston has devoted much of the past 20 years to studying and producing art. Her technique of ‘reverse painting’ involves applying acrylic paint to the back of Plexiglas sheets. This process presents special challenges for the artist, requiring that Houston work backwards in a very decisive manner, as she expertly resolves the foregrounds of her paintings first and their backgrounds last. Houston’s paintings begin with a color idea and eventually evolve into compositions in which color is the primary subject. Viewed through the surface of the reflective Plexiglas, her work appears remarkably luminous. 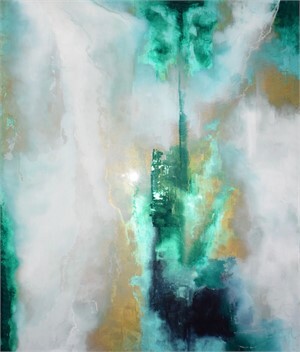 Employing bold abstract motifs that subtly reference landscapes and the concept of infinite space, Houston describes her paintings as serene, happy places of her own design in which every brushstroke is guided by beautiful color. Dallas Design District gallery, Laura Rathe Fine Art (LRFA), announces a solo exhibition with Katherine Houston for their Summer Collective. Opening Reception will be Saturday, June 23rd from 5-8pm. Artist will be in attendance. 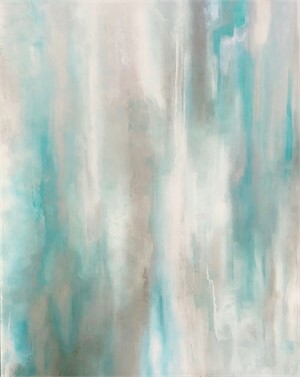 Based in Galveston, TX, Katherine Houston has devoted much of the past 20 years to studying and producing art. 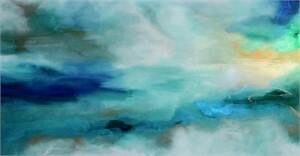 Her technique of ‘reverse painting’ involves applying acrylic paint to the back of Plexiglas sheets. This process presents special challenges for the artist, requiring that Houston work backwards in a very decisive manner, as she expertly resolves the foregrounds of her paintings first and their backgrounds last. Houston’s paintings begin with a color idea and eventually evolve into compositions in which color is the primary subject. Viewed through the surface of the reflective Plexiglas, her work appears remarkably luminous. 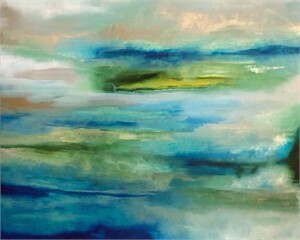 Employing bold abstract motifs that subtly reference landscapes and the concept of infinite space, Houston describes her paintings as serene, happy places of her own design in which every brushstroke is guided by beautiful color.